Occasional browsing on YAJ (Yahoo! 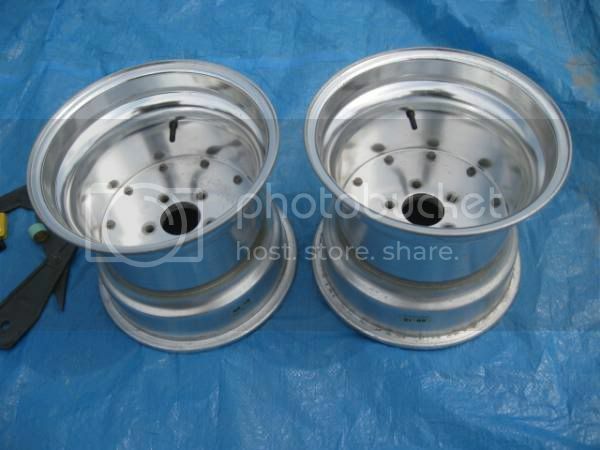 Auctions Japan) for wheels can bring up some interesting and sometimes surprisingly cheap wheels. 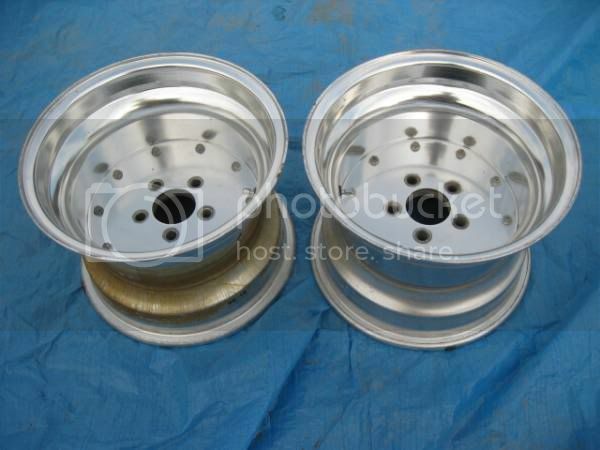 What you soon discover however, is that the exponential price increase factor in wheels is the width. Although these wheels are still quite spendy, were they the same width and offset in an SSR Mk.II, Mk.III, Work Equip, RS-Watanabe, Hayashi Street or any of the other more detailed design centres, their price would be easily double what it is now. 10" Wide - That makes these the Front Pair. 12" Wide - That'll be the Rears then. They’re not my thing at all but for those just after outright width while retaining the Japanese connection they’re a fairly solid route to take. Now of course if they are your thing and you’re interested in purchasing them, just hit up Ewan from Hayatonka.com with the auction links and he’ll be able to help you out. Looking for parts from Japan? Be sure to mention us in your e-mail, you won't be disappointed.